Color Charts | Mazdaspeeds.org, The New Era in Mazdaspeed, CX-7 & Ecoboost Forums! 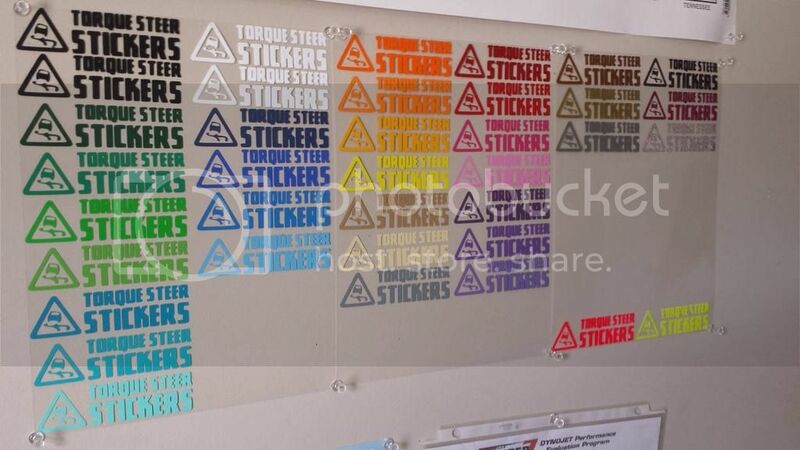 Discussion in 'Torque-Steer Stickers' started by Scott@TSS, Mar 8, 2016. Just wanted to take a second to post these color charts. 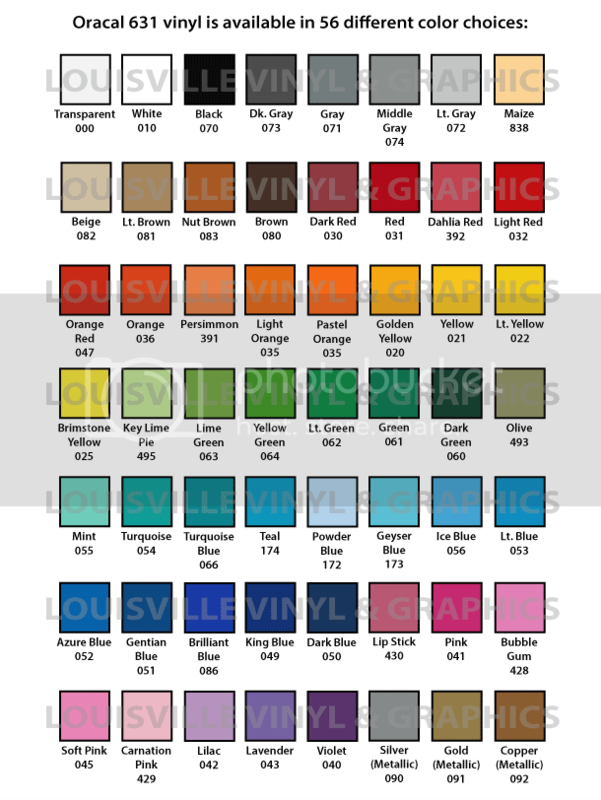 These are the colors that my vinyl distributor offers. These are all high-quality, 7 year, outdoor rated vinyls. I try to keep most of these colors in stock, but some of them have a short lead time. I can also source vinyl from other distributors, but there is typically a longer lead time on those. Feel free to message me if you have any questions! 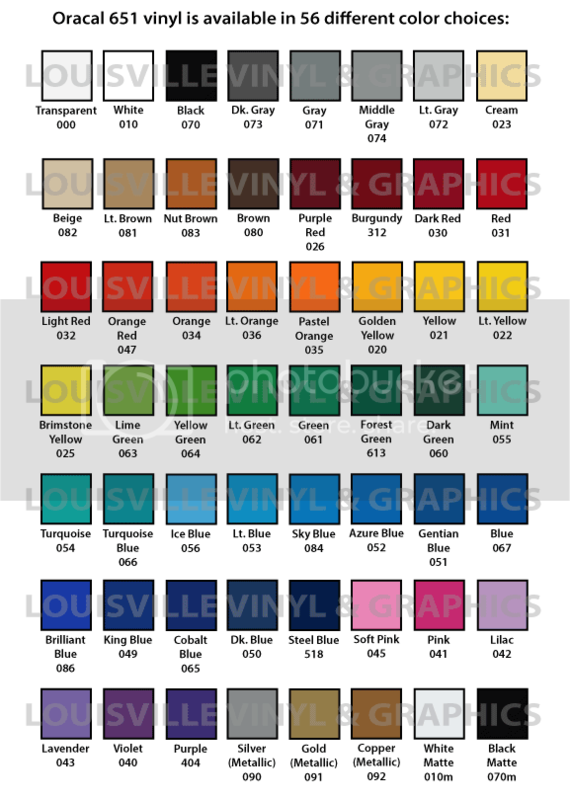 Here are the colors that I have in stock. I can have any of the others in stock within (3) business days. 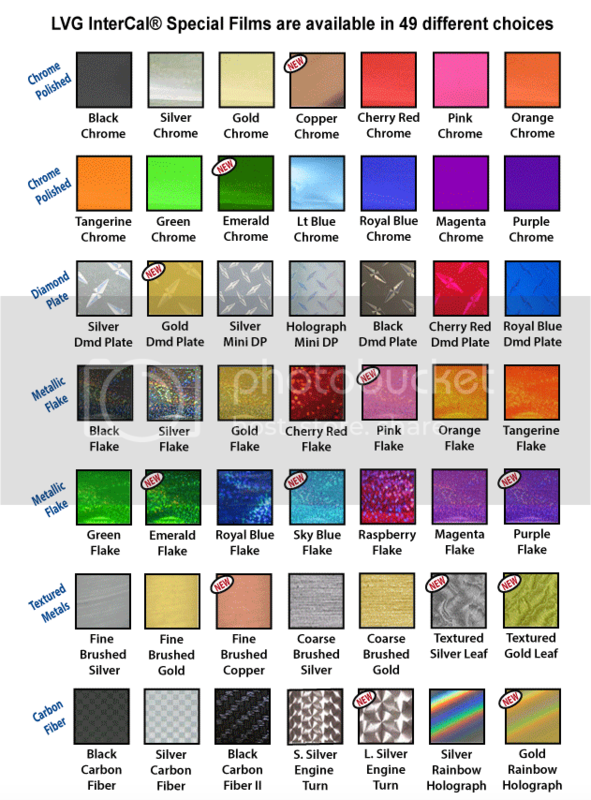 The following colors are available for wall graphics. This vinyl is easily removed from painted surfaces without damaging it. Typically used indoors on painted drywall.